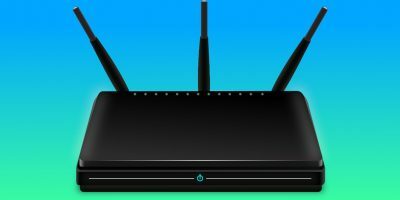 If you’re connected via the Internet using a router, there’s a strong chance that you have enabled WiFi on it. It’s become such a common thing in every household and establishment frequented by the public that people have even made jokes (e.g. “I know they don’t serve anything interesting at the bar, but at least it has WiFi”). 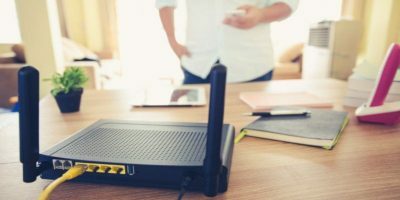 If you’ve been shopping for a router recently, you’ve probably found some that advertise the ability to broadcast at the 5 GHz band. What is up with that? Is this any better than the 2.4 GHz most devices currently use? Why 2.4 GHz in the First Place? Have you ever noticed that almost every radio device in your home operates around the 2.4 GHz frequency? This includes Bluetooth devices, WiFi, your cordless phone, your microwave (I’m not kidding), and almost everything else with the word “wireless” in it. We’ve gone beyond coincidence, haven’t we? It’s just too uncanny. The reason for this is the United States FCC, which started allocating pieces of the radio spectrum for licensing. They left out one frequency for Industry, Scientific, and Medical (ISM) radio broadcasting devices: 2.4 GHz. This model was later imitated around the world for the sake of unifying unlicensed radio devices globally without creating pesky discrepancies. Imagine if you had to change the settings on your phone every time you traveled to another country. You can thank unification and standardization for the fact that you don’t have to do this. This frequency allocation was done so that the stuff in your house doesn’t broadcast its signals at the same frequency as other essential services that use radio waves to communicate with one another. In 2009 a new wireless standard known as IEEE 802.11n was published, now allowing routers to use either the 2.4 or 5 GHz frequency bands to broadcast WiFi signals. The reason for this was to allow people to use routers in areas where there is a lot of wireless interference. Imagine trying to place your router right next to your cordless phone. Or what if you have a ton of Bluetooth devices that just keep saturating the 2.4-2.4835 GHz range? For any number of reasons, you could be living in a place where using a 2.4 GHz router would just be inconvenient. Your internet speed would slow down at certain times (especially when all the other wireless devices in your house are in use). 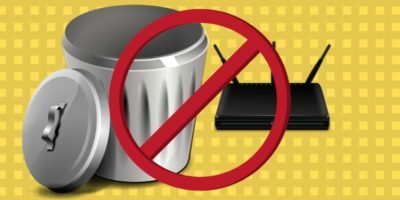 You probably have no choice but to place your router right next to your microwave oven (which means that your Internet will be slowed down to a crawl while you’re heating your food). If for any reason you need another band to work with, a 5 GHz router would be capable of delivering internet to your wireless devices without any interference, theoretically. The only benefit you might get out of a 5 GHz connection is that it is less congested and your Wi-Fi connection will be more stable, and feels faster. No, you don’t get any speed boost by using 5 GHz instead of 2.4. You will just get less disruption. If anything, you’ll probably get less range. High-frequency radio signals attenuate rather quickly because the laws of physics demand it. Because of this, if you live in a large house, you’re better off either using the 2.4 GHz frequency band or using 5 GHz with a bunch of repeaters situated where the signal grows weak. 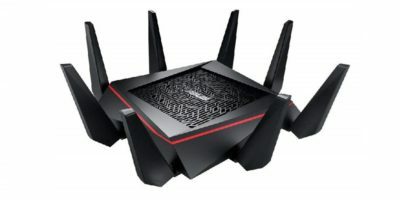 Of course, device manufacturers can always make routers that use more power to broadcast their messages (which means they’ll cover a larger distance), but that situation would not be economical for the average home user. 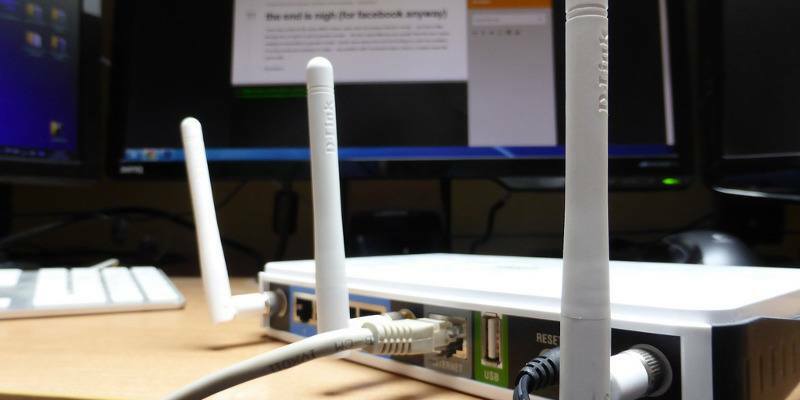 Have you ever had to use your router at a 5 GHz frequency band? What made you do this? Tell us all about it in a comment! My router automatically broadcasts both 2.4 and 5 but almost all of my devices automatically connect to the 2.4 GHz frequency band. 5 GHz can deliver higher speeds since there is more spectrum bandwidth allocated to 5 GHz WiFi than 2.4 GHz. The trade-off, however, is that 5 GHz has worse signal propagation characteristics — e.g., does not go as far for same amount of power and tends to get absorbed more by walls, etc. — so it will in general not go as far. Most WiFi hotspots today have both 5 GHz and 2.4 GHz bands incorporated into the radio — as well as numerous protocols — a/b/g/n/ac. Also, older WiFi devices may only access 2.4 GHz or only use protocols used on 2.4 GHz (like 802.11b). Accordingly, most new WiFi hot spots will give you both options. Most sophisticated WiFi users will move all lower bandwidth devices to 2.4 GHz and push the higher bandwidth devices – such as video streaming or gaming — to 5 GHz. 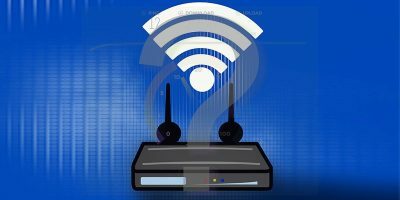 I use a dual band router and I tend to use 2.4GHz for some of the lower bandwidth equipment in my home – tablets/smart phones for web browsing, Bluetooth, and so on. 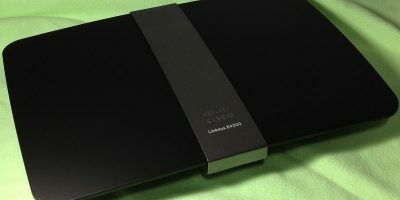 5GHz is reserved for some of the higher bandwidth equipment such as my work laptop, smart TV/Amazon Fire TV, or anything that will be streaming full HD video. The ‘low’ bandwidth stuff on 2.4 GHz has to compete with a lot of other local wireless routers/access points, even in my relatively rural area. In summer I can see up to 30 other routers/WAPs from my home on 2.4GHz, many with pretty strong signal strengths. (In winter it drops to only 3 or 4.) But on 5GHz I can see only 2 other routers and their signal strength is quite low, leaving plenty of room for the high bandwidth traffic in my home. That 5GHz doesn’t travel as far due to the high path loss is a plus to me because it keeps my signal from propagating much past the walls of my home. In fact I dialed back the output on 5GHz to the point where you can only detect it outside if you happen to be very near one of the windows. I do have a few dead spots in my home, but it is highly unlikely I’ll need to be able to connect on 5GHz from those few locations. 5GHz covers the areas I need and allows me to use the full 150Mbps Internet connection I have without slowdowns caused by co-channel interference. The statement “….device manufacturers can always make routers that use more power to broadcast their messages (which means they’ll cover a larger distance), but that situation would not be economical for the average home user.” is believed to be not quite correct. Power output for general purpose routers is currently regulated/ limited by federal law, reference FCC regulations. Otherwise a very informative article. 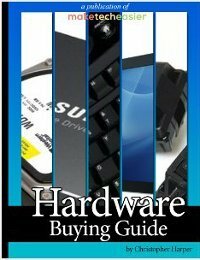 Wow this article has some pretty large inaccuracies, though I get the intention given the site moniker of “maketecheasier”. Firstly, radio spectrum is only part of the picture when it comes to Wi-Fi throughput gains. And the 5Ghz standards were not only designed to provide an option to 2.4Ghz congestion concerns, they were about enabling greater performance gains. Performance gains aside, the two radio frequency blocks succinctly deal with interference differently and are suited to different environments and usages. Secondly, the radio spectrum is only part of the picture when it comes to Wi-Fi performance — the protocols used are a big factor in performance and security! Using 802.11n/ac on the 5Ghz spectrum will provide a definite throughput gain than older protocols on the 2.4Ghz spectrum. I could go into details on both of these aspects, but this article missed the mark by a long shot. 1: 5 GHz bands find most often use in homes where there’s a lot of noise on the 2.4 GHz bands. Regardless of the intentions with which the standard was created, this is a reality that is reflected in countless whitepapers, including the one published by Cisco for 802.11ac. The reality of the situation, however, is that the 5 GHz ISM band was first introduced with a data transfer rate of 54 Mbps, identical to that of the 2.4 GHz band. This demonstrates that although you could theoretically gain bandwidth through this frequency, the purpose of its introduction was to provide an alternative to the overcrowded 2.4 GHz band. 2: Spectrum either does or doesn’t have an impact on Wi-Fi performance. I do not understand what you’re trying to say here. As for the 802.11ac standard, it all depends on channel modulation and guard interval. For whatever reason, the 2.4 GHz ISM band seems to be a catch-all for so many things. (One of them, BTW is microwave ovens). It is so heavily used, I am surprised it works as well as it does. So, I use 5 GHz where I can, and often find I am the only user there. I don’t know the history for sure, but I think the 5 GHz band may have been the first wi-fi standard, as the 5 GHz only implementation is 802.11a. 802.11n gives you a choice, and so do the newer standards, ike 802.11ac. Even if a microwave oven generated signals in the 2.4/5 GHz range (which I doubt), laws in the US and Canada (and probably anywhere in the world) require that the oven be completely shielded so that the waves it generates are trapped within the cooking cavity. If those waves should escape the cooking cavity, the results on organic beings (humans, pets, etc.) range from “unfortunate” to “deadly”. The only reason a microwave oven would generate signals in the WiFi ranges would be if it is a WiFi-enabled, IoT device…and then, any interference caused by it would also apply to other IoT devices such as fridges, washing machines, dryers, etc. Regardless of shielding, some non-ionizing radio noise does slip through the cracks. It’s not nearly enough to harm you, but it will definitely interfere with Wi-Fi if you have the router right next to the cooker. 1. The FCC provides RF Spectrum control for U. S. International Treaty obligations which also drive Ann other treaty compliant nations. Thus it’s not because we’re big bad bullies driving the rest of the world into cooperative frequency allocations, but cooperative self interest the treaty creates. 1. Absolutely! I didn’t want to make it sound like the FCC is bullying everyone else into submission, but rather that there is a strong incentive to follow standards already set elsewhere (from the point of view of other countries) so that people who travel internationally do not have to trouble themselves with setting their Wi-Fi radios every time they enter a new country. 2. Right. Although there could be a lobbying effort for the FCC to allow an exception for routers. They could allow them to draw more power only for the 5 GHz range, enough so that they can match the attenuation of 2.4 GHz. It is not the most implausible scenario, given enough political pressure for this. Although, I would agree that it’s doubtful that this would happen anywhere in the near future. The low attenuation is sufficient, nonetheless, for small apartments, which is usually where 5 GHz would be most ideal anyway :P In a large house, one could simply use repeaters. It will not happen LEGALLY because of international agreements. However, if you look at other areas of the radio spectrum, especially ham radio and Citizen’s Band, power limits are ignored by users quite frequently. Citizen’s Band radio is limited by law to under 5 watts transmitting power. There are many users, mainly truckers, who are running their CBs with 1 kw and 2 kw boosters. Ham radio has different power limits for each type of license. Again, it is not uncommon for users running boosters to get above their license limit. FCC does catch and punish the law breakers but, especially in CB, it is not hard to get new equipment and start transmitting again. I would not be surprised if some enterprising tinkerer hasn’t already figured out how to increase the transmitting power of his router. 3. Once 5GHz becomes intermittent or unreliable due to distance, it’s time for 2.4GHz.